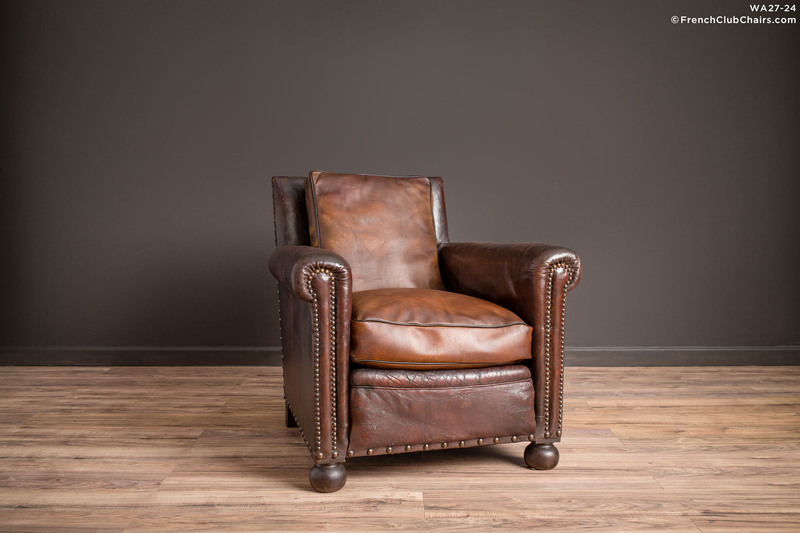 Wow, this is what they all want the perfect, partially restored nailed head, 1930s French leather Club chair. Back and bottom cushions have been restored with our signature Pyrenees French leather. They sit like a bit of heaven. Although not an exact pair, check out WA 27-28. They are so similar that they would work very well together. Circa 1930s. measurements: depth-35", width-31", height-32", seat depth-22", seat width-17", seat height-16"
© French Club Chairs by William’s Antiks • http://www.FrenchClubChairs.com • All rights reserved.